This Hank Unplugged podcast features a wide-ranging conversation with Fr. Themi Adamopoulo. Fr. Themi is a former atheist, rock star turned missionary priest serving in one of the poorest countries in the world, Sierra Leon. As Fr. 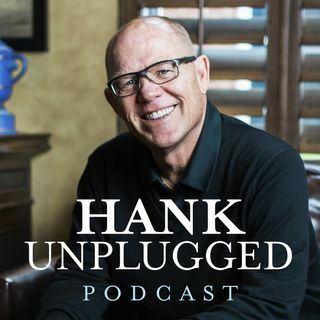 Themi puts it in his conversation with Hank, “Fame is empty, but Christianity has no expiration date.” Listen to find out why these two former atheists now share a passion to serve Christ that is unshakeable in this energetic and inspiring conversation. Topics ... See More discussed include: the contemporary Saint Nektarios and the pain of Christians being persecuted by fellow Christians (2:30); why Hank has experienced persecution by becoming Orthodox, and do Orthodox Christians need to do a better job of evangelism? (7:00); the false dichotomy between faith and works that the West finds itself stuck with (10:00); Themi’s work against the biggest scandal the world faces today: poverty (15:50); the history of belief regarding the real presence of Christ in the Eucharist/Communion (22:30); the importance of perpetuating Christian traditions, while also adapting for cultural differences (29:10); Themi’s past as a Marxist, atheist rock star in the Australian rock band The Flies and how he eventually converted to Christianity (34:50); the dangers of ego in academia (44:00); the Western tendency to embrace reason at the cost of mystery (46:45); mystical experiences of Christ (50:30); Themi explains from his own experience how fame is empty, but Christianity has no expiration date (54:10); every day thousands of children die in Africa. How do we shift our global priorities to stop this and show that we value human life? (1:04:30); Themi explains the popularity of the prosperity gospel preached in many Pentecostal churches in Africa (1:09:00); why Christians helping the poor is a nonnegotiable (1:12:20); their shared belief that true Christian faith is a transformational journey rather than a mere transactional moment (1:16:30).